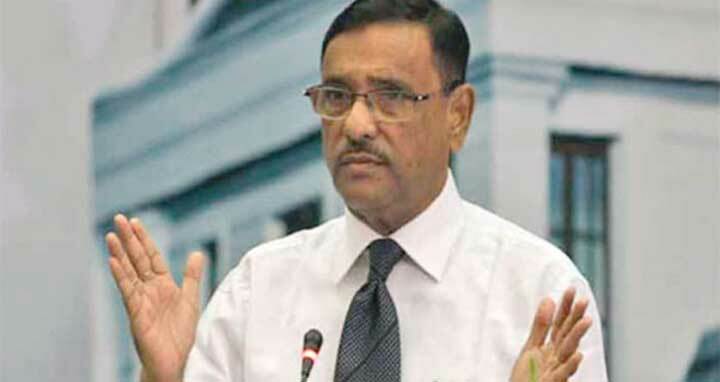 Dhaka, 2 June, Abnews: Road Transport and Bridges Minister Obaidul Quader said investigation is underway over the Teknaf ward councillor Ekramul Haque killing case. The minister made the opinion while addressing a programme at Bangabandhu International Conference Center (BICC) in Agargaon on Saturday. Obaidul Quader said, "A group is opposing the anti-drug drive. However, the people of the country are happy following the raid." "Mistakes may be taken place during great tasks. Action will be taken against them after investigation who were responsible for the mistake," he added.